The Land of Smiles awaits on this exquisite gay group journey. 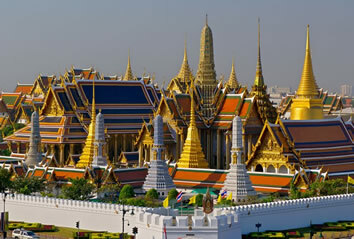 We begin in Bangkok, wandering the Grand Palace and devouring the street food. We’ll then explore the famous temples of Northern Thailand, spend time with Chiang Mai’s Asian elephants, and learn about the once-bustling poppy industry at the Hall of Opium. To wrap up our adventure, we hit the island of Phuket, where restaurants and nightlife compete with the beaches. Please note: our December departure coincides with New Year’s Eve, and includes an extra night of accommodation in Phuket to round it off as a fantastic 11-day adventure! 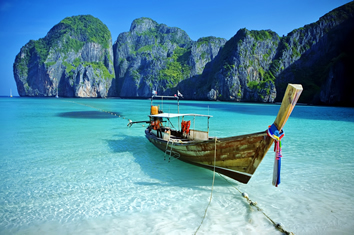 You can also pair your trip with our Phuket Beach Break if you want time to unwind. Discover the exquisite Land of Smiles in style. Thailand conjures up images of spicy delicacies, majestic elephants, golden Buddhas, colourful hilltribe villages, fantastic shopping and exotic hideaways - and we experience it all on this trip. Witness traditional hilltribe life in a H'mong village, support the rehabilitation of the endangered Asian elephant, step back in time in the ancient kingdom of Sukhothai and try your hand at whipping up some gastronomic delights - this is your chance to capture the adventure and essence of timeless Thailand. 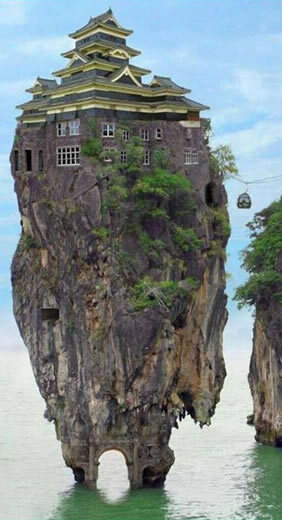 This trip also features fantastic 4 star properties. Support the rehabilitation of the endangered Asian elephant, step back in time in the ancient kingdom of Sukhothai and try your hand at whipping up some gastronomic delights. Need a beach vacation? We're happy to add a beach extension to the beginning or end of your adventure. It is recommended to combine this trip with our Cambodia Luxury Gay Tour & Myanmar Gay Tour. We have carefully chosen these gay-welcoming properties with you in mind. They have the right balance of comfort and luxury while still being locally owned. Located just walking distance away from Patong's nightlife and the Andaman Sea, Grand Mercure Phuket Patong is a 314 room beach resort that includes suites and pool villas. Complimented with a bistro like restaurant, three unique meeting venues, a bar that boasts the largest beer selection in Phuket, fitness centre, spa, the hotel represents a new generation of retreats combining natural beauty and cultural heritage. The hotel is 300 m from Patong Beach and Phuket International Airport is 40 km away. Rooms come with a flat-screen cable TV and refrigerator. Shower facilities are included in an en suite bathroom. Free toiletries and hairdryer are provided. Some room types also have a balcony. 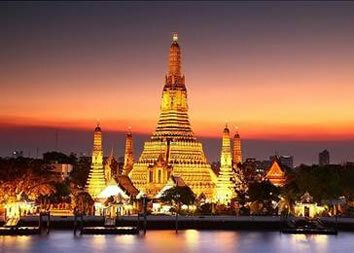 Bursting with life and colour, Bangkok is a modern city with an ancient heart. 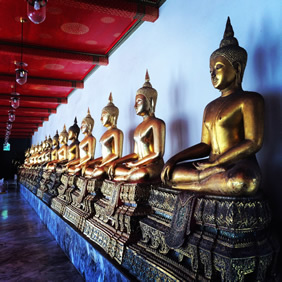 Visit the Emerald Buddha, housed beneath the gleaming spires of the Grand Palace. Take a boat trip through the khlongs to witness the remarkable contrast between city and canal-side life. 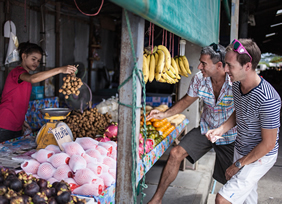 Enjoy the many culinary delights on a food tour and the gay nightlife of Bangkok with your gay local guide who will join you throughout your adventure. You are met on arrival at Bangkok Airport and transferred to your centrally located 4 star hotel. Please note that an arrival airport transfer is included, so please advise us of your flight details at least 14 days prior to departure. You can arrive at any time on day 1 as there are no activities planned until the important welcome meeting. Your leader will leave a note at reception telling you where and when this important meeting will take place. Please ask a member of reception for this information. If this is your first visit to Thailand and you want some more time to explore Bangkok, we highly recommend booking a couple of nights' additional accommodation prior to your trip. In the evening on day 1 we hae a private food tour where we'll learn about the many regions of Thailand, through their fabulous food! 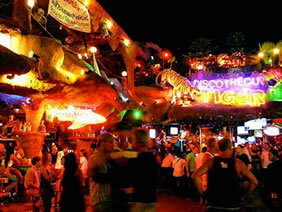 Following this exceptional excursion we'll explore the local gay nightlife in the Silom area. In the morning of day 02, we visit the magnificent Grand Palace and the Temple of the Emerald Buddha which is home to the famous but rather small Emerald Buddha, the most important Buddha Image in Thailand. The entire complex is an incredible showcase for Thai Buddhist temples and a proud attraction for the city, being more than 200 years old. After the grand palace we walk to Wat Pho where we see the stunning reclining Buddha. This temple is also known as a birthplace of traditional Thai massage. We have lunch near Wat Pho before we taking a boat trip along the canals (khlongs) where we can enjoy the natural scenery and observe the daily lives of the people who live along the canals. On our return to the pier we pass the boathouse where the Royal Barges are housed. Return to the hotel by the BTS Sky Train. The rest of this day is free for you to do your own thing, be it a swim in the hotel pool, some shopping, unwinding with a traditional Thai massage or enjoy shopping at Silom. This morning we fly to the chilled-out town of Chiang Rai, where we’ll visit the temple of the Crystal Pagoda, or Wat Thaton, upon arrival. Our next stop is not only a feast for the eyes, but also a real mouthful: the Phra Borommathat Chedi Kanchanaphisekstupa is said to house a sacred relic of Lord Buddha. From the village of Mae Salong, we may even see Akha people, an indigenous tribe that populates many hillside villages. Our last stop, the OTOP Agriculture Centre, is a great place to grab some souvenirs. The remainder of the day is yours to enjoy after we check in to our cozy mountain retreat, with tonight’s dinner included. 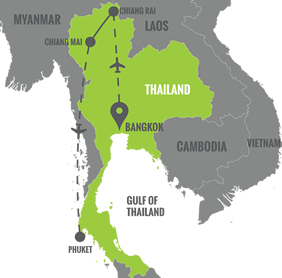 After breakfast, on Day 4, we’ll drive to the Golden Triangle, where Thailand, Laos and Myanmar meet on the Mekong River. We’ll explore this epic waterway by boat tour, then head for the Hall of Opium to glean some highlights about how this region was once the hub of the poppy-growing industry. We’ll enjoy an optional lunch before we visit Wat Phra That Pha Ngao temple for some sweeping views of the countryside, then end our day with an an optional dinner and a relaxing evening. 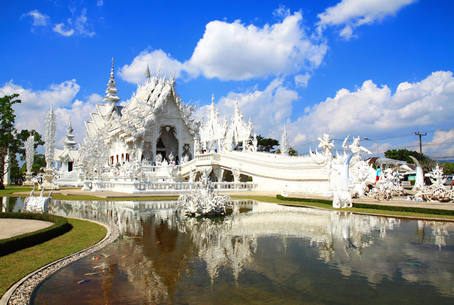 Today begins with a 3-hour drive to Chiang Mai, Thailand’s lively northern capital. 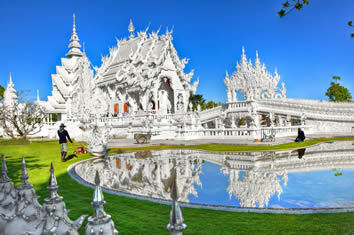 We’ll stop at the White Temple (Wat Rong Khun) on our way, an essential site on any visit to the Golden Triangle. Upon arrival we’ll enjoy an orientation walk, then leave you the afternoon to explore on your own. Then things get cooking with a culinary lesson that turns into a dinner to savour over sunset. Enjoy the rest of the evening in solace, or join us out for drinks. Another day forward, and we’ve stepped back in time: get a taste of the Lanna Period at Doi Suthep temple, replete with chanting monks and a sultry sunset from the mountain where copper-plated stupas populate the sweeping views. Tonight’s dinner is included, then we’ll stroll the Chiang Mai Night Bazaar for some friendly haggling and souvenir-hunting. Day 7 - Prepare for the biggest day of our adventure, which will be spent with one of the world’s kindest beasts: the Asian Elephant. We’ll learn about their health, then join them on a ride through the jungle with lunch included. This evening you may relax or stroll around the hotel with fellow travellers. The famous beach island of Phuket is our final stop on this tour, and a perfect place to celebrate the end of our holiday. We’ll transfer to our resort-style hotel, then head out for an optional lunch before we visit the gay beach. Beware there is nothing serene or secluded about Phuket: this global destination features tons of restaurants, nightlife galore, and beaches teeming with people. This evening we’ll enjoy an optional dinner, and if you’re up for it, the island’s epic nightlife! 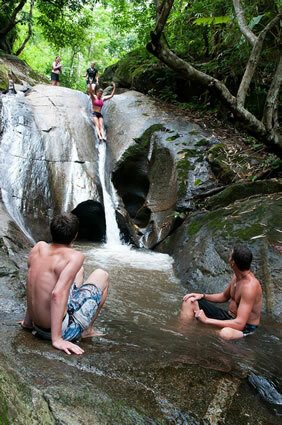 On Day 9 Escape the hustle and bustle of Patong Beach on our final excursion. We’ll transfer to the other side of the island to explore the caves of Phang Nga Bay by sea kayak. No experience is necessary, as you’ll be captained by an expert local. We’ll explore hidden bays and caves and even make our own krathong (buoyant, all-natural decorated baskets). Launched after sunset, they may even stir up the bioluminescent plankton, causing the water to glow gorgeously. After heading back to land, we’ll freshen up for Farewell Drinks. There are no activities planned for day 10 and you are able to depart the hotel at any time. Check out time from the hotel is at 12 noon. If you are departing later, you can arrange luggage storage at the hotel. 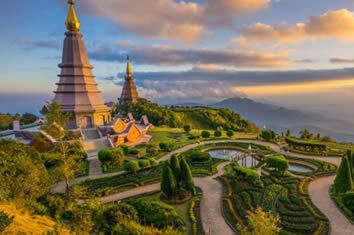 A visa is not typically required for American, Australian, British and Canadian citizens travelling to Thailand for fewer than 30 days. There may be exceptions, and all visas are the responsibility of the traveller. 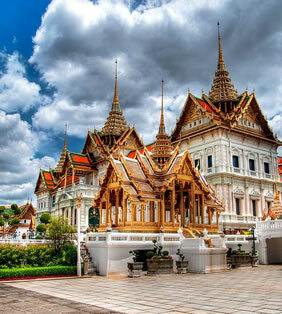 Tourism in Thailand is well-developed enough to afford many of the luxuries of home, however in our experience the culture and craziness of Thailand can be a tad overwhelming at times. We recommend you relax, have a sense of humour and take it easy. 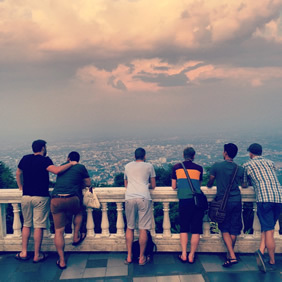 Most major cities in Thailand, such as Bangkok and Chiang Mai, have vibrant gay scenes with exciting nightlife and welcoming locals. While it is not yet viewed as socially acceptable for LGBT locals, tourists are welcomed with open arms. Expect it to be hot and sticky at times. It can be pleasantly chilly in the evenings, and there is a chance of showers (although they are not common during our tours). We recommend travelling with a light sweater and jacket, but don't leave your summer clothes at home: mid-day temperatures can climb well above 30°C/85°F. Based on the entry requirements for Thailand, there are no vaccinations needed for entry. To determine if you should take preventative measures to reduce the risk of illness, you should consult your doctor or a travel medical clinic, as OUT Adventures cannot provide vaccination recommendations. You will need an international travel plug/adapter for type A/B/C sockets. All our hotels will have Wi-Fi access, so feel free to tweet, pin, post and share your experience with your friends and family at home. They might be a tad jealous! Maximum of 16 travellers per group. The itinerary is correct at time of publishing. If anything, it will only get better based on feedback from prior travellers and our own research. It's best to reference your final trip documents rather than our website in case there have been any changes that affect your departure. 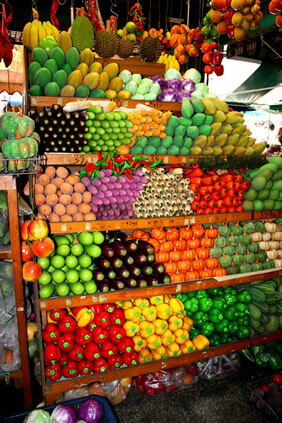 To keep things flexible, not all meals are included in the trip price. Although we typically dine together so that everybody can get a taste of everything, feel free to explore on your own...your guide will always have some restaurant recommendations. The local currency is Thai Baht. We usually recommend carrying local currency for small purchases, however credit cards are accepted at most upscale restaurants, and at hotels. We recommend carrying approximately $400 USD to be used only in the case of an emergency, or if your credit/ATM cards are placed on hold. Most OUT Adventures entail carrying your own luggage on occasion. And while you'll never schlep far, things can quickly get heavier than a celebrity breakup if you don't keep your baggage under 20kg/44lb. If you bring along a steam trunk, chances are you'll have costly surcharges on domestic flights. You should also bring something smaller for day trips to carry water, your camera, and any souvenirs you pick up along the way.